A Completely New Way to Recruit Agents in 2017. How to recruit more internal and external agents to your brokerage. Improve revenue and profitability with new agents in 2017. Get your new agents up and running so they can provide income faster. Proxio Showcase is the real estate sales platform that creates a faster and more cost-effective sales process by creating amazing digital marketing and putting it in the hands of motivated agents worldwide, while tracking activity, interest and leads. 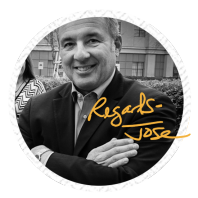 Respected and innovative industry leader, Jose Perez, has been making a difference for almost 30 years. His vision is focused on helping brokerages bridge the gap between the growing expectations of consumers and agents and the lack of innovation the industry has been able to deliver over the past few years. Jose is the Executive Vice President of Global Sales for Proxio.